Pulling Vines in the Belmondo Reach Natural Area. Sometimes nature needs help with balance in a restoration site. 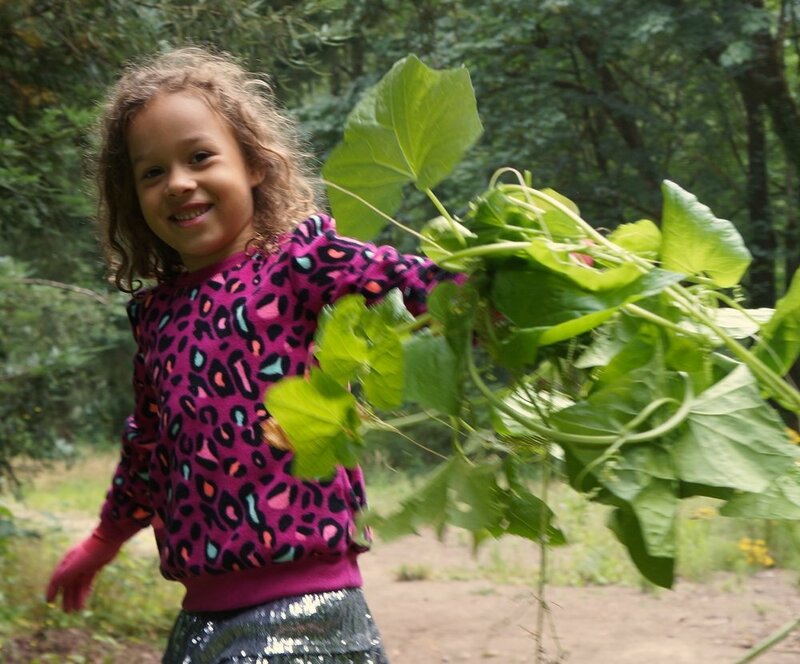 At the Belmondo Reach Natural Area on the Cedar River, a large patch of native manroot / Marah oreganus (aka wild cucumber) was aggressively vining up into a grove of historic trees, as well as smothering a salmonberry patch. The fascinating fruits are irritating if eaten but very fun to stomp. They explode the spongy moist interior and eject large seeds- which of course you have to pick up if your goal is to limit its spread. Interestingly the grove of large trees were CA/OR-native Lawson’s cedar and redwoods which are remnants of the coal mining settlement that used to occupy the site (see photo from 1889). If you look at the steep riverbank you can still see seams of coal. The river was perfect for wading and swimming, we look forward to returning to see the salmon and also to keep up with the restoration progress.